The deposed attorney general says he’s not missing the Senate, amid speculation that he might mount a bid for his old job. Jeff Sessions doesn’t sound eager to run for his old Senate seat in 2020. The former attorney general and Alabama senator said in an interview on Wednesday that he doesn’t miss being a senator and won’t decide on a run anytime soon. Sen. Doug Jones (D-Ala.) is seen as the most vulnerable incumbent on the ballot in two years — and Sessions is viewed as a prime candidate to beat him. 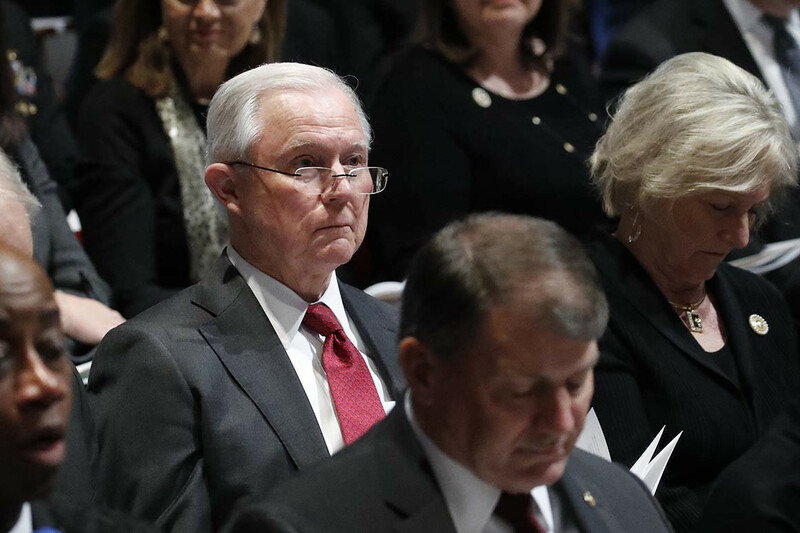 But, after enduring months of attacks from President Donald Trump for recusing himself from the Russia probe and being forced to leave his attorney general perch after the midterms, Sessions sounds eager to decompress. Sessions was as chatty as ever. He raised doubts about the criminal justice reform effort in the Senate and defended acting attorney general Matt Whitaker, who’s been criticized by Democrats for being appointed to the role despite not being a Senate-confirmed official. He also made clear he’s not itching to get his old Senate office back. Jones stunned members of both parties when he won a special election for Sessions’ old seat, triggered by his appointment as attorney general. Sen. Luther Strange (R-Ala.) was selected to serve on an interim basis, but he lost to Roy Moore in a Republican primary. Hobbled by allegations that he sexually assaulted teenage girls as a younger man, Moore was defeated by Jones in the general election. Sessions didn’t have a general election challenger when he last ran in 2014, though he might face a GOP primary challenge if he decides to challenge Jones. At least at this moment, though, that looks like a long shot. Sessions has told former colleagues that running for the Senate could be seen as a demotion after serving in Trump’s Cabinet.